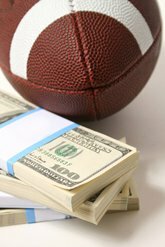 My weekly blog special the “Smart Money Report” Super Bowl LII edition is here to help you guys out. Make sure to check here every Thursday during NFL season as I utilize all my sharps aka professional bettor contacts, Las Vegas Oddsmaker contacts, and NYC bookies to give you the info on what’s happening behind the counter in the NFL betting marketplace with every game on the board. NYC Bookie: Here in NYC all the big boys are on the Eagles with this line opening at 7 and down to 4,5 so far. My guy says it’s been all 50/50 action as far as ticket count but the big money is on the Eagles here. He also said his Total is up to 48.5 from a 47.5 opener with some Over support. Las Vegas Oddsmaker: My Vegas bookie contact said he’s also received a 50/50 ticket count on this game. He said the same story with more sharp money on the Eagles driving him down to 4.5 from a 6 opener. He did get as low as 4 on this game and did note at 4 he saw some big sharp opposing money on the Patriots force him back to 4.5. So he said basically sharps like the Eagles from +6 down to +4.5 and he saw his biggest Patriots sharp money come in at -4. He said same story on the Total up from 47.5 to 48.5 with some Over money.